What is DoFollow? DoFollow is actually opposite of NoFollow tag. NoFollow tag tells search engines not to crawl the links present on the web page and a DoFollow blog is a blog with NoFollow tag removed and now search engines can crawl links and improve your Rankings. Before we begin, I recommend you all to read my Post in which I've explained everything you need to know about dofollow and nofollow tag. Making your Blog DoFollow helps your Blog to rank higher in search engines, since search engines can notice links on your Blog. 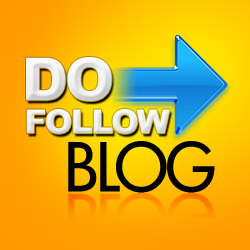 In this post I'll show you How to make Blogger Blog DoFollow. How to make Blogger Blog DoFollow? Follow the steps mentioned below and you'll successfully make your blogger blog Dofollow. Note: Always Backup your Template before making any change, So that you can revert back if any problem persists. Step 5: Now Save your Template. Now this will make your Blog DoFollow, Now you can add your blog to DoFollow blog directories and people will love to comment on your blog because they'll get a backlink in return. Hope you liked my Tutorial, Please take a few seconds to share it with your friends or leave a comment below.